Select an option .177 / 4,5 mm. .22 / 5,5 mm. Unfortunately the original valve assembly the Diana Bandit series pistol is not very concistent. So we made an adittional tuning regulator for it and you will have a great concistant shotstring in a minute! 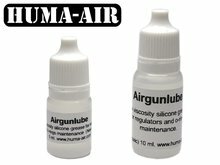 This Huma-Air regulator is placed inside the pressure tube and stands on the valve house body. You only need to remove the outside oring of the factory valvehouse so the regulator can vent properly. No further modifications to your pressure tube have to be done. So no drilling in the tube and also no creeping up in power during time. 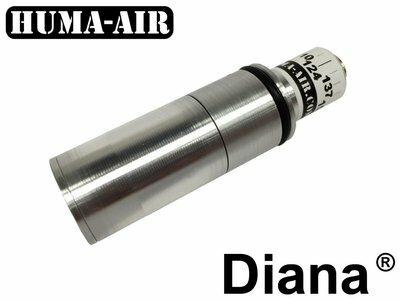 The Diana Bandit offers a great platform for further tuning and modifictions. Fitting instructions as pdf download.